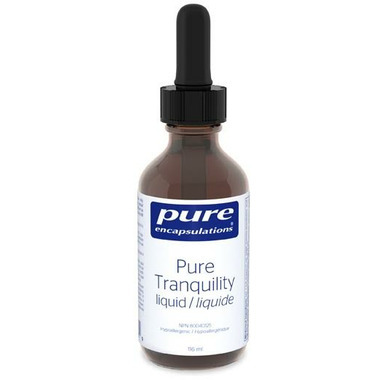 Pure Tranquility liquid offers a great-tasting convenient combination of GABA, glycine and l-theanine to support relaxation and moderate occasional stress. I have anxiety with occasional panic attacks. 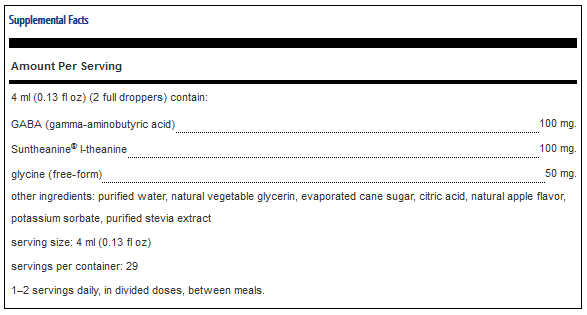 After being introduced by my naturopath, I can't take anything else. It has helped me manage my anxiety so much! Ordered this in hopes hat it would help with anxiety and stress. Unfortunately I have not seen a difference at all. Ordered the Pure Tranquility because I have social and generalized anxiety. Personally, it did not work at all and a few hours after taking it I felt like make my heart was beating slow and I did not feel good and I will therefore not be taking it again. My naturopathic doctor tells me that everyone reacts differently and that something that works for one person might not work for another. In this case, it did not for me but it might for someone else.